Excellent receiver & transmitter! Great audio reports on tailored audio! Great filtering also! I have had this since it was new on the market, it is bulletproof. In its day, the finest rig on the market. Originally built to Israeli MIL-Spec. Heavy, and that's why. Add outboard DSP and you can't go wrong. It's my last rig, in spite of what's on the market now. Estimating the value of a rig can be challenging. 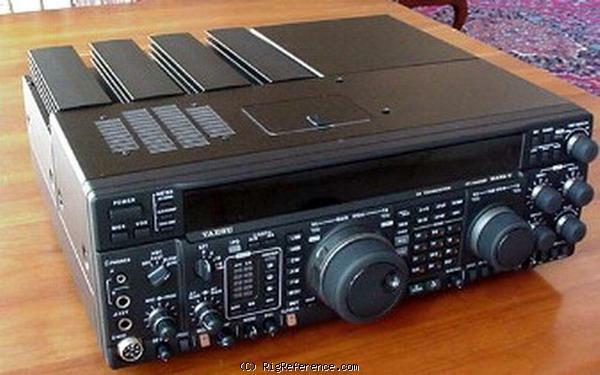 We collect prices paid by real hams over the years to help you estimate the current value of the Yaesu FT-1000MP Mk V. Just bought or sold this model? Let us know what you traded it for and help other ham operators!